Congratulations to Amy Winecoff for accepting a position at Bard College. 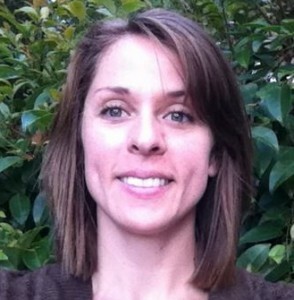 In the fall of 2014, Amy will join the faculty as an assistant professor in the Psychology Program. While the Huettel Lab is losing a great member, Bard College is gaining a fantastic young professor with a passion for both research and teaching. Cheers Amy! 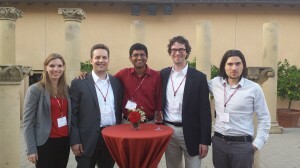 Recently, the 4th Annual Interdisciplinary Symposium on Decision Neuroscience took place at Stanford University. Vinod Venkatraman, a former Huettel Lab member, was a member of the organizing committee. The goal of the symposium is to bring together researchers from a number of different fields in order to examine how neuroscience can influence decision making in a variety of areas. In addition to contributing to the overall discussion of the direction of neuroscience and decision making, this symposium also brought together a number of current and former Huettel Lab members. Congratulations to former Huettel Lab member Vinod Venkatraman (and colleagues) on a new publication! Their paper, “An Overall Probability of Winning Heuristic for Complex Risky Decisions: Choice and Eye Fixation Evidence,” was accepted into the journal Organizational Behavior and Human Decision Processes. Congrats Vinod!